If you’re a selfie lover, then it’s perfect for you. We have seen selfie focused phones like Zenfone Selfie and a few more. InFocus Bingo 50 is another such device, but it’s strictly a powerful device with great camera combo, i.e. 8MegaPixel front and rear cameras with f/2.2 aperture and LED flash. Sounds great. While we have seen performance issues on selfie phones, despite of being a bit costly. If you phone lags now and then, then probably you should forget about selfies and will eventually throw the phone. InFocus bingo 50 is powered by a MediaTek 6735 processor clocked at 1.3GHz and 3GB of RAM, so there shouldn’t be any issues or lags here and there. One of those guys who wants to flaunt the phone for having the latest version of Android? 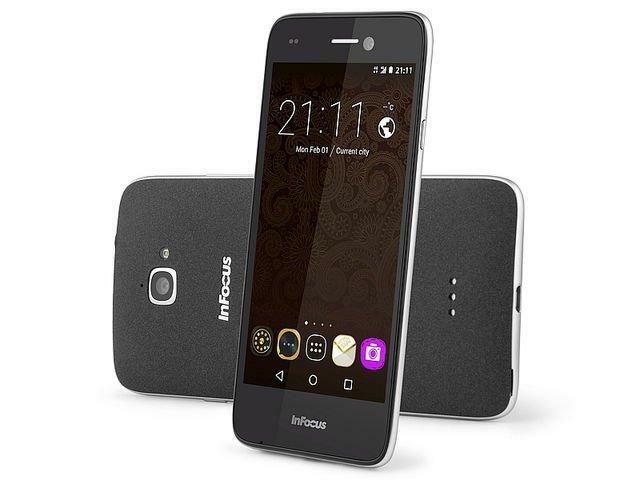 InFocus Bingo 50 will be then good for you as it comes with Android 6.0 Marshmallow out of the box, while some of its competitors are still stuck on Android Lollipop. And here’s a small fact related to the Android Marshmallow on InFocus Bingo 50- it’s the cheapest phone right now running Android Marshmallow. The phone isn’t that huge, at just 5 inch it’s neither mammoth sized nor a tiny one, it sports a 720P HD display. It has got dual SIM card slots and a microSD card slot (expandable upto 64GB) in case you run out of memory as 16GB memory is there on board. Connectivity features include 4G LTE, BlueTooth, Wi-Fi, GPS etc. There is a 2500mAh bettery under the hood. Among all the reasons to buy InFocus Bingo 50, I think that the pricing is the key factor for which the handset is expected to sell very fast. At Rs. 7499, it’s a steal deal as at this price you won’t find any other handset which has got 3GB of RAM, 8MP camera combo with LED flash. So, these are the Top 5 reasons why you should pick up the InFocus Bingo 50, as it turns out to be a really good deal for this price and it should fulfil the needs of great selfies, along with good performance and value for money is the best thing about the device. Also, if you’re lucky and among the first 100 buyers, you will get a free Rock Selfie Stick worth Rs. 1,000. We will check how the phone actually performs, when we get to put our hands on the phone. Stay tuned for the updates, and don’t miss another update by liking our Facebook page.